The Cyber Essentials scheme has been developed by the UK Government and industry to fulfil two functions. It provides a clear statement of the basic controls all organisations should implement to mitigate the risk from common internet based threats, within the context of the Government’s 10 Steps to Cyber Security. Also through the Assurance Framework it offers a mechanism for organisations to demonstrate to customers, investors, insurers and others that they have taken these essential precautions. Cyber Essentials offers a sound foundation of basic security measures that all types of organisations can implement and potentially build upon. The Government believes that implementing these measures can significantly reduce an company’s vulnerability. However, it must be stressed that, it does not offer a silver bullet to remove all cyber security risk; for example, it is not designed to counter more advanced, targeted attacks and hence organisations facing these threats will need to implement additional measures as part of their security strategy. 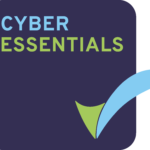 What Cyber Essentials does do is define a focused set of controls which will provide cost-effective, basic cyber security for businesses of all sizes. 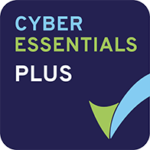 Cyber Essentials plus is the same standard, CE+ offers the additional protection of a vulnerability test whilst CE is by verified self-assessment only. Once completed we send it to the assessor, once he is satisfied, you will be awarded Cyber Essentials Certification. There is a certification fee of £350+VAT per annum , if you require the CE Plus Certification there are additional fees and your certification body will be able guide you through that process. Fees for CE Plus are in excess of £1,200 depending on the number of IP addresses you have and the certification body you choose. Praetorian Security is an Approved Cyber Essentials Practitioner.